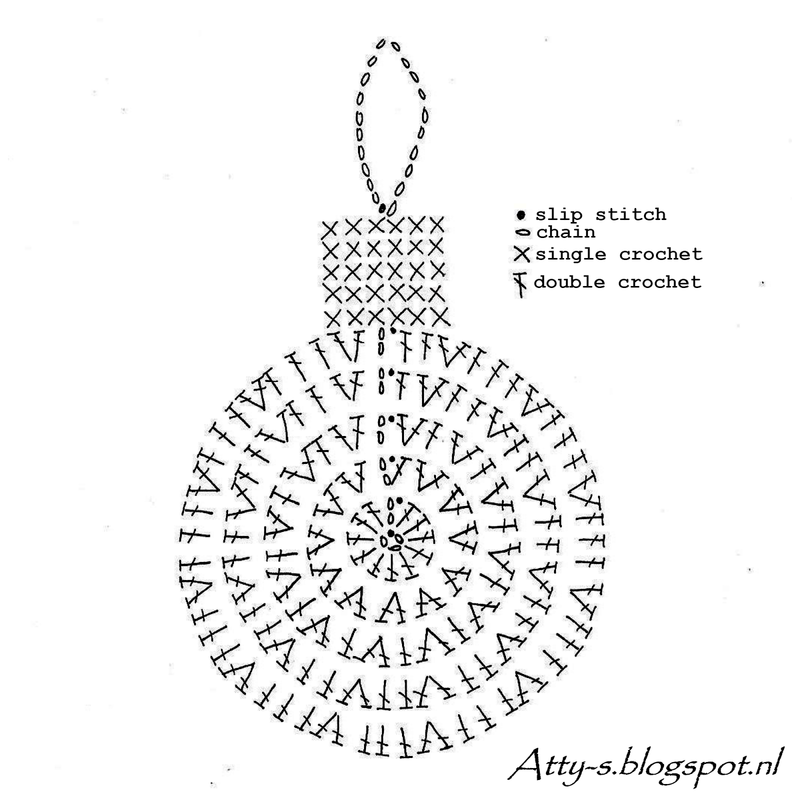 For 10 days they'll hop from blog to blog for inspiration and free patterns to keep you busy in this festive month! 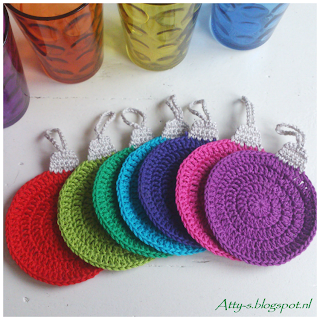 Today it's mine and I made these colorful Christmas ball coasters to brighten up the dinner table by then. 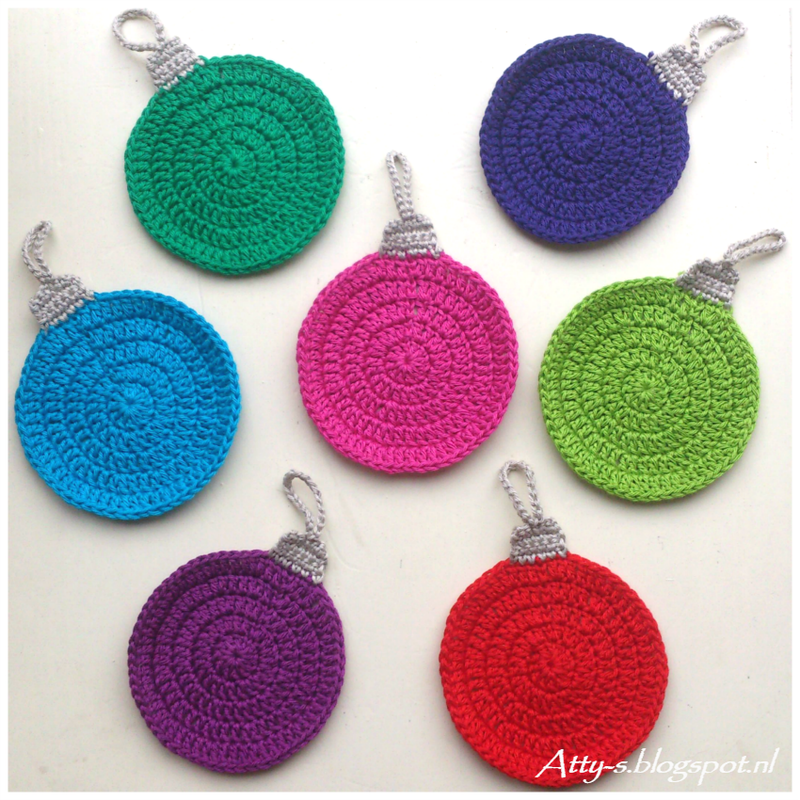 The yarn I used is Larra by Scheepjeswol, it's a nice and very shiny 100% cotton, perfect for these Christmas items! 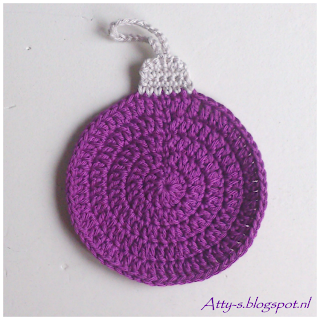 An other perfect yarn for this, is Catona by Scheepjeswol which is available in 69 colors, you can find them all in my shop here. Don't forget to check it out at missneriss.com!!! 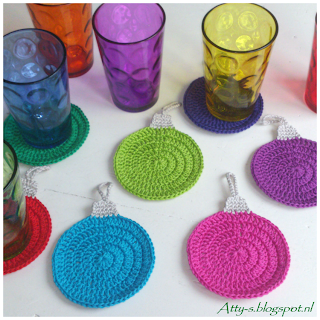 Klik hier voor de NL versie. 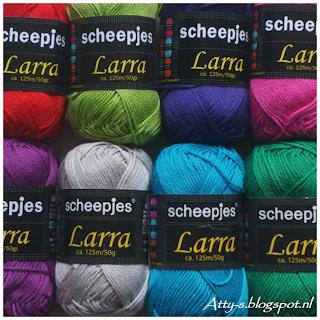 Larra grey nr7327, green,7413 en 7402, purple 7395 and 7417, pink 7394, red 7400 en blue 7371. 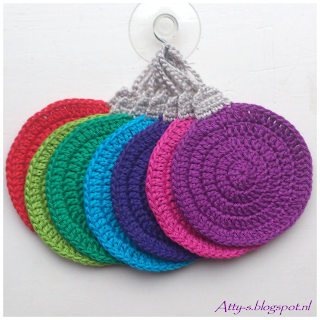 Hook 2,5 mm. ch 3 close ring with sl st.
ch 2 to start rows with (=1dc) and end with sl st.
6. 3sc, ch 20,close with sl st in first chain, 3sc.